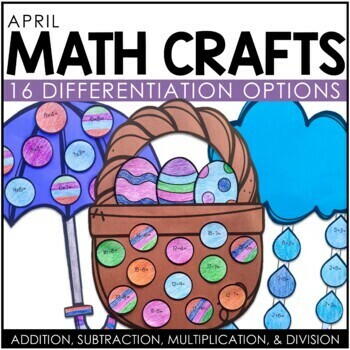 These differentiated April math crafts include addition, subtraction, multiplication, and division options. 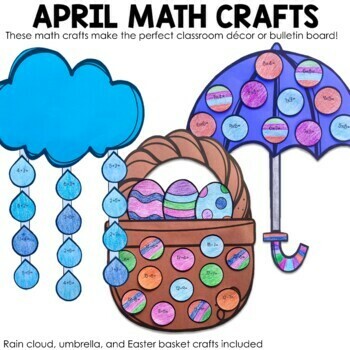 In this Spring math activity, you will find THREE craft options: an Easter basket, an umbrella, and a rain cloud. I've also recently added an EDITABLE option! 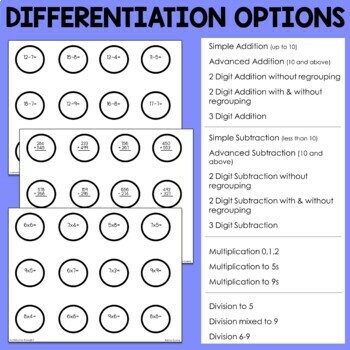 You can change the circles to fit the needs of your students. 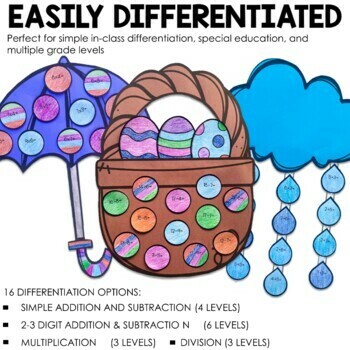 This makes differentiating for your students a breeze! While I've always included a blank circle option, this new option can be edited using MS Powerpoint.